Copy to: CAs to all officers in PHQ, Circular File. Affairs, Govt. of India - Instructions issued - Reg. of Government of India, the following instructions are issued. sufficient material for arresting the accused and charge sheeting the case. Chief is not satisfied with the result, provision of Sec. 498A of IPC may be invoked. Women cell working at district level. (4) In case of juveniles, Sec. 498A of IPC should not be invoked. under the care of Child Welfare Committee. the offence under Sec. 498A of IPC. Toddy-disparity between actual production of toddy and availability. 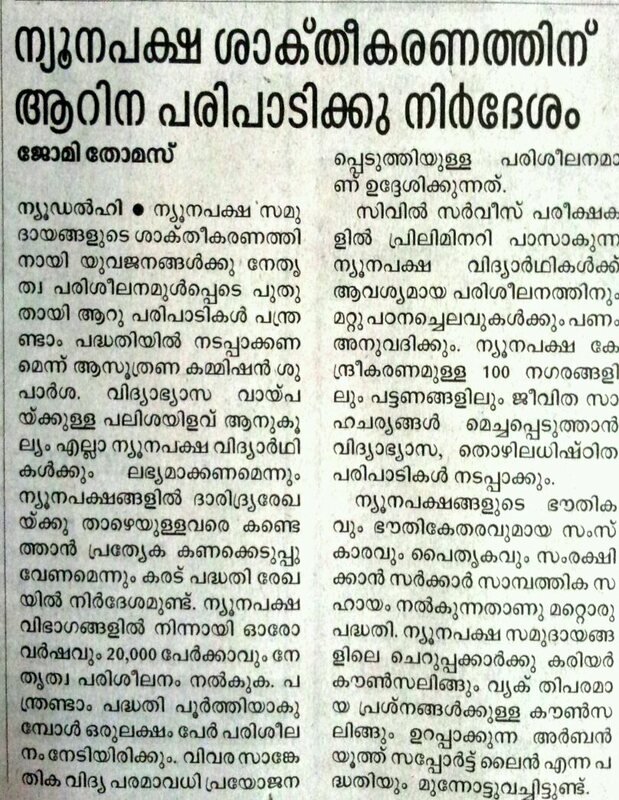 Toddy-disparity between actual production of toddy and availability...could be a reason to adulterate toddy..state to stop toddy business in Kerala. Electricity supplied to a company engaged in commercial activity would also come in the definition of consumer. 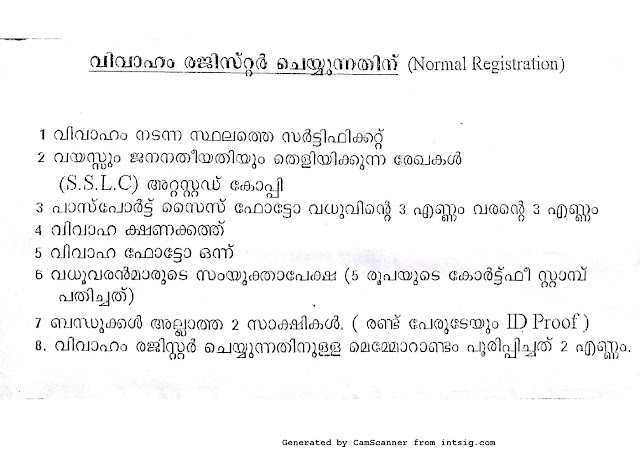 Shops and commercial establishment act Kerala- A society registered under TCLS Charitable Society act will also come under the purview of Kerala shops and commercial establishment act...inclusive definition..legislature intended wider scope for the term establishment..if such society carry on any organised activity in connection with the objects of its bye law and employ the prescribed number of employees. The only question is whether in connection with the work of the society, there is employment of prescribed number of workmen. 2006 3 KLT 67. 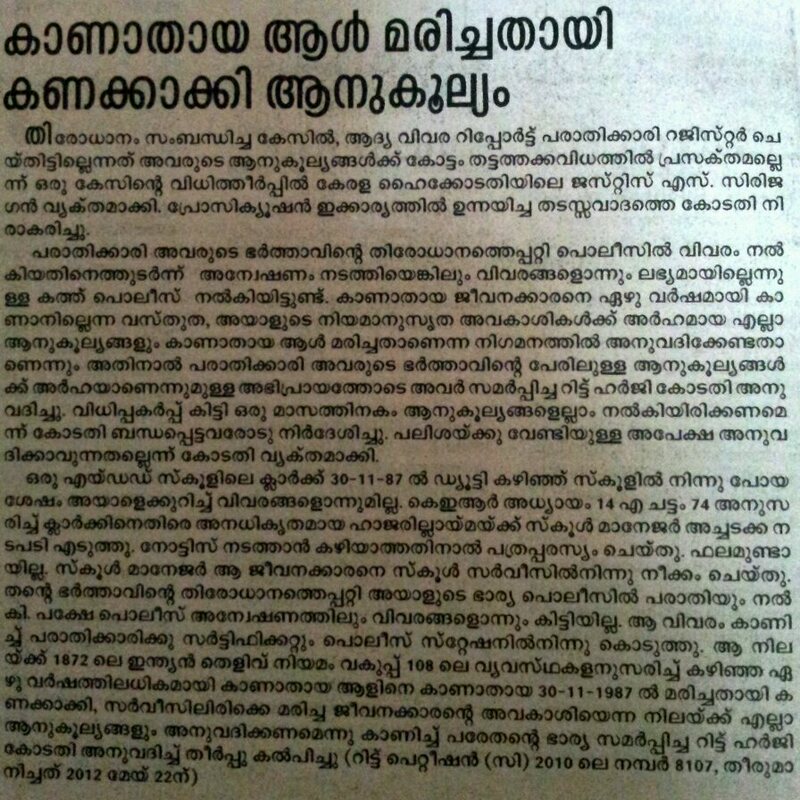 Js Kurien Joseph. 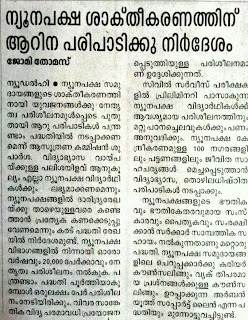 As per GO(P) No.17/2012 Dated 14/02/2012, Government have reduced the Maximum Possession limit of Liquor by a person. The buildings constructed by religious groups are liable to be taxed under Kerala Building tAx Act 1976, if it is used for commercial purposes. The parish hall using for marriage and other functions are not exempted from tax. The Kerala High Court ruled. The Judgment was delivered by Js Antony Dominic. 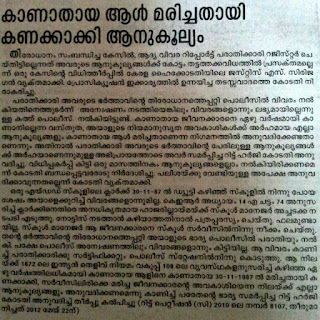 It is decided in St. John The Baptist Church case, Kanjiramattom, Kottayam. The elected Laity of a parish have the right to represent the parish and claim over rights of property of church- No sanction from the Bishop is mandatory. 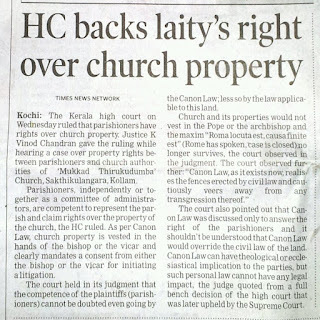 The Kerala High Court in RSA 662/2003 held that, the committee of administrators of church elected by the parish community have the right to represent the church. The question regarding the competence of laity to represent a case for church property is discussed in detail. 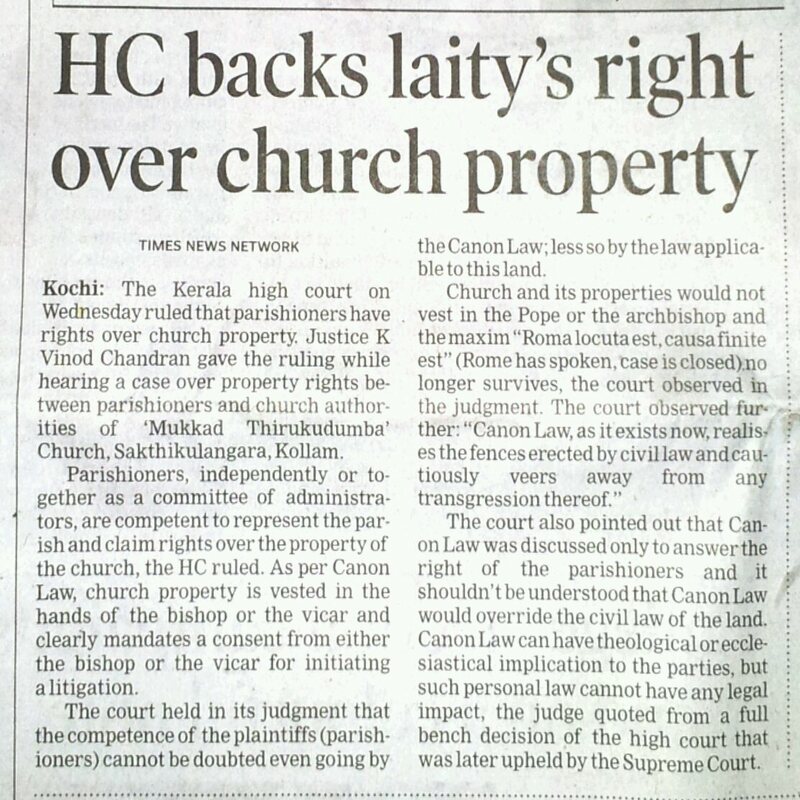 Js Vinod Chandran of High Court of Kerala opined about the right of LAITY over the church properties in a case which reached before it, pursuant to the suit filed by LAITY in a Catholic church in Kollam. Hospitals to publish the cost for treatment- new guidelines under CLINICAL ESTABLISHMENT ACT 2010.
publish the cost chart of treatment. 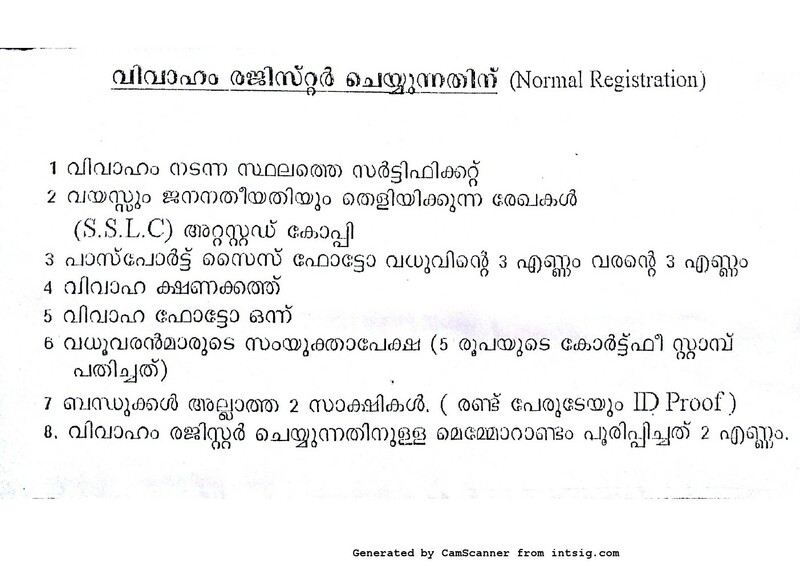 new guidelines under CLINICAL ESTABLISHMENT ACT 2010.
documents for registration of marriage in kerala- Municipality, Panchayath, Corporation.